page of your paper (even though it’s already on the title page), and it is not bolded (p. 42). 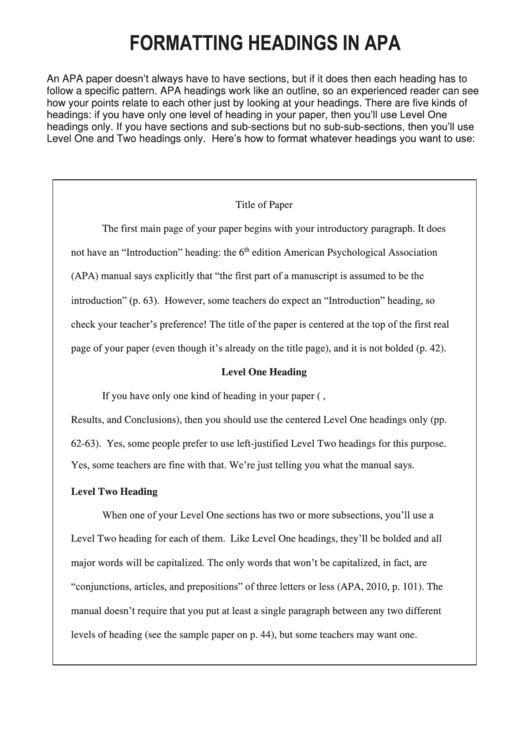 Results, and Conclusions), then you should use the centered Level One headings only (pp. 62-63). Yes, some people prefer to use left-justified Level Two headings for this purpose. Yes, some teachers are fine with that. We’re just telling you what the manual says. levels of heading (see the sample paper on p. 44), but some teachers may want one.